Petinou, Kakia and Armostis, Spyros 2016. Phonological Process Occurrence in Typically Developing Toddlers. Folia Phoniatrica et Logopaedica, Vol. 68, Issue. 5, p. 199. 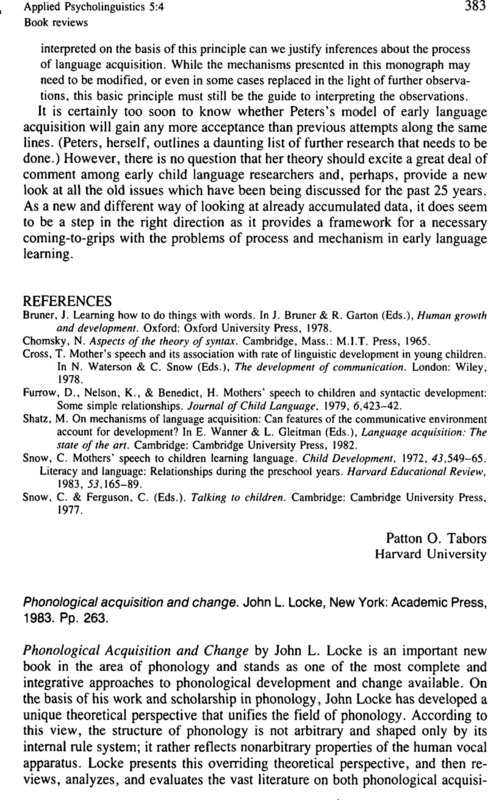 Phonological acquisition and change. John L. Locke, New York: Academic Press, 1983. Pp. 263.